The tourbillon is one of the noblest complications in the art of horology. Beating at the heart of the Admiral’s Cup 42 tourbillon with microrotor, the tourbillon represents a majestic accomplishment. This model is a watchmaking masterpiece adding a blend of elegance, emotion and technical sophistication to the heritage of a watch that has made its way through over 50 years of unbroken history. A perfect blend of strength and poetry. The choice of complication carries double weight. In selecting the tourbillon to ennoble its Legend line, Corum has clearly chosen to assign it firmly to the category of classic watches. With its pure, softer lines, its signature twelve-sided bezel and its 12 nautical pennants, the Admiral’s Cup 42 Tourbillon With Microrotor pays tribute to the illustrious predecessor that inspired it, the Admiral’s Cup that has been an unassailable icon for over half a century. In addition to this proud heritage, the Admiral’s Cup 42 Tourbillon With Microrotor radiates a blend of gracefulness, clarity and extreme lightness, combined with horological excellence and peerless technical sophistication. Appearing in this admirable form, the watch gives renewed meaning to the words purity, harmony and equilibrium. 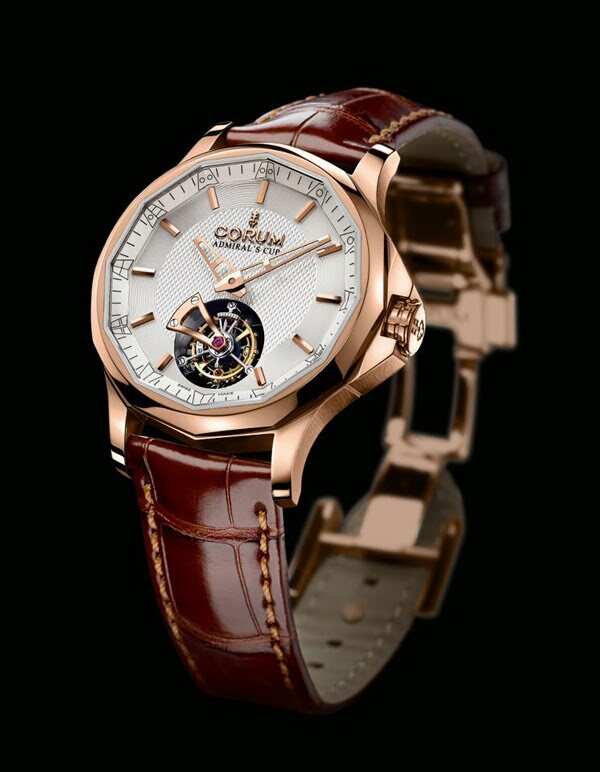 Available in three versions – 18K red gold, two-tone with an 18K red gold bezel and a steel case, or in steel – it feature a 42 mm diameter.